Attended with representatives from OpenRice, Hungry Bird, Her Pen And Fork, Pooh's Adventures, Lepak With Yaops, Jelly Loves Food, and Shauneeie. Budget about SGD $15 ++ per person. Since opening in December 2014, Do.Main Bakery has quickly gained a loyal following for its great tasting, fresh, authentic French bread, pastries, cakes, and confectionaries. Pastry chef Chef Frederic Deshayes, who hails from a small village near Versailles, Yvelines, in the region of Île-de-France, France, along with his wife, own and run Do.Main Bakery. The name itself is a play on words, 'Do' represents bread dough, 'Main' is French for hand(s), representing bread made by hand, and 'Domain' refers to ownership, of which Do.Main Bakery is their 1st wholly owned shop. We visited Do.Main Bakery on 25 March 2015, Wednesday night. Ambience at Do.Main Bakery is credited to Chef's wife, who is a freelance fashion designer, and oversaw the look and feel of the place. The result is Do.Main Bakery has a rustic, country side feel, with white cobble stone walls, solid modern furniture in shades of white and black, an overall minimalist look. A large display cabinet showcases the various appetizing pastries, cakes, and savoury items, while rows of fresh bread are stacked along the wall in back. A clear glass panel allows for open viewing of their bakery, where chef and his team can be seen hard at work. Service at Do.Main Bakery is partial self-service, where ordering and payment is done over the counter, as is collection of cutlery. However, staff will serve orders to your table. I find staff here to be generally friendly, greeting you upon entry, though they may sometimes miss bidding you goodbye when you leave. 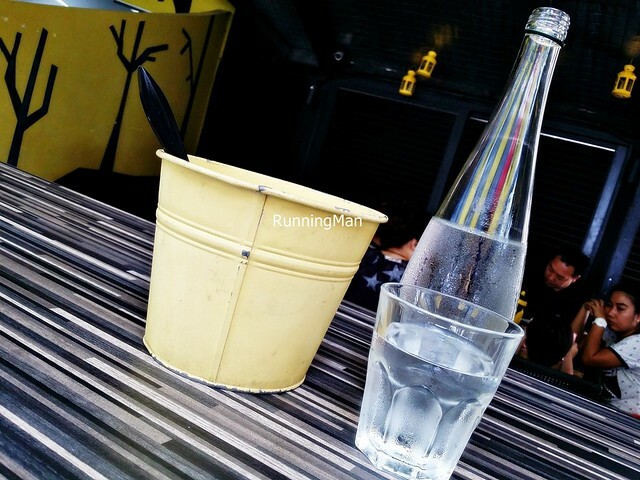 They're generally knowledgable about the various items on the menu, able to provide brief descriptions, and I like that they have the correct pronounciation of the French names. Most of the staff are chef's former students, graduates of the pastry-making diploma programme, taught by him personally when he was head of the pastry and baking faculty at At-Sunrice GlobalChef Academy. Chef Frederic Deshayes works hard everyday, rising well before the sun is up to start preparing his bakery, and continues working all the way to closing. 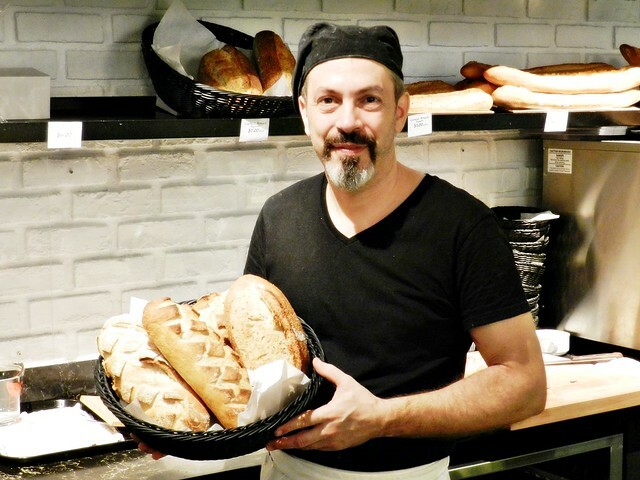 Kneading more than 50kg of dough daily, Chef Frederic Deshayes often bakes up to 10 cakes / tarts in 1 hour. 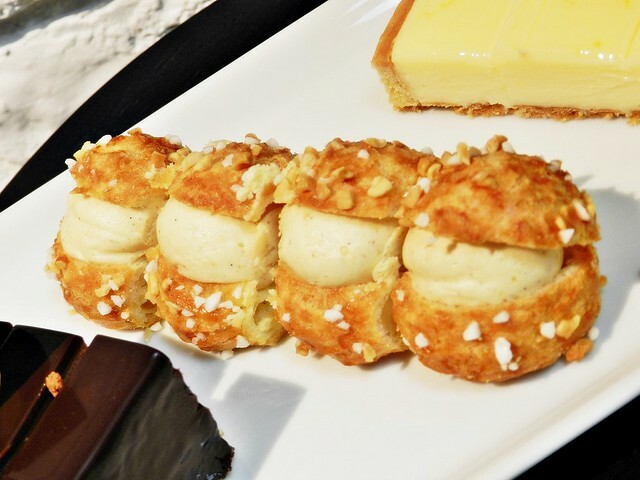 Chef insists on quality ingredients, such as Elle & Vivre butter or Valrhona chocolate, when making his pastries, and the result is evident in the taste. 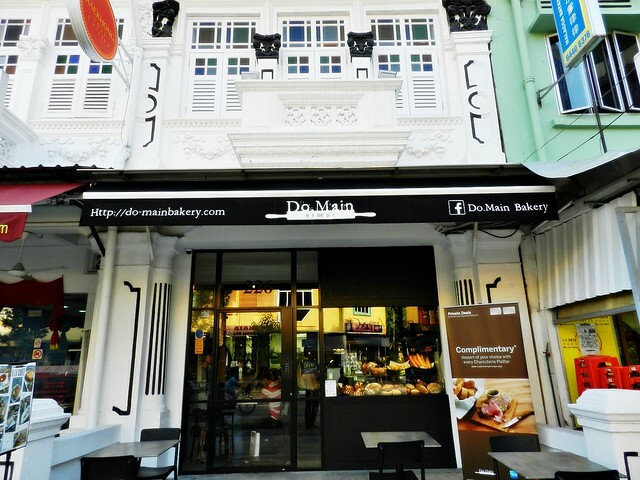 Food at Do.Main Bakery consists mainly of French pastries and breads, with a small selection of French savoury dishes. Classic and quintessential French cakes, tarts, bread, and pastries are made according to time-honoured, traditional recipes that chef learnt in his youth, resulting in rustic looking, yet great tasting food. 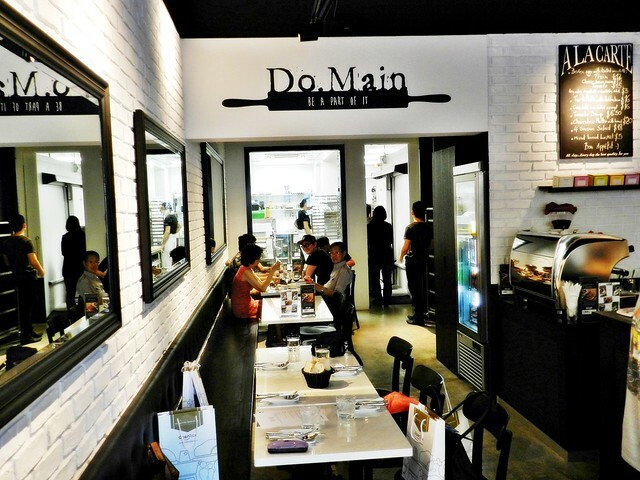 Yes, you'll be able to spot French people and even other pastry chefs dining at Do.Main Bakery! Portions are nicely sized for 1 person, and I notice quite a few people order takeaway. 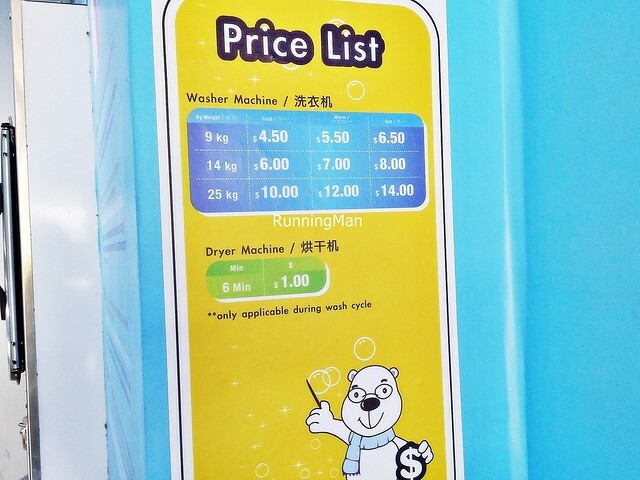 Prices are reasonably affordable despite the high quality, similar to prices at other cafes, or lower. 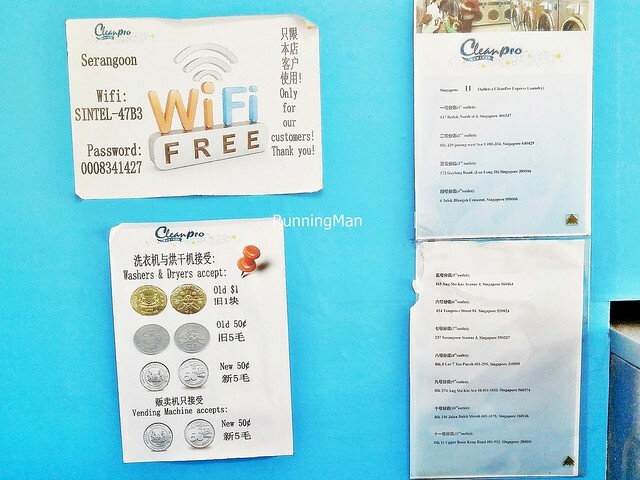 Budget about SGD $15 ++ per person for a pastry with drinks, or about SGD $30 ++ if you include a savoury dish. 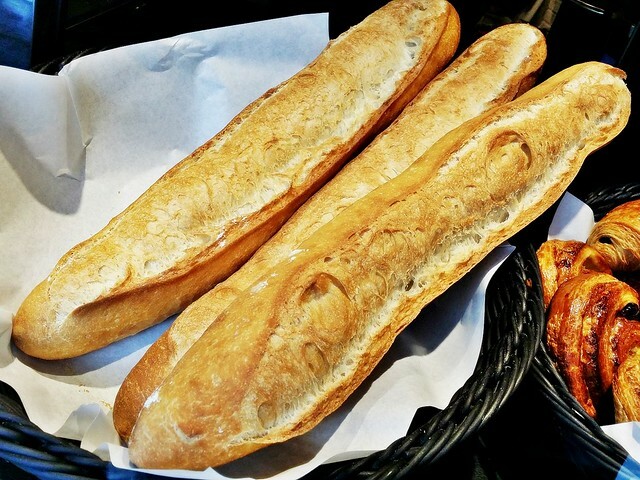 Bread here is kneaded by hand and baked fresh daily, and chef prepares quite a large variety of rustic, classic French breads, ranging from baguette to brioche, sourdough to dark rye, croissant to walnut bread. 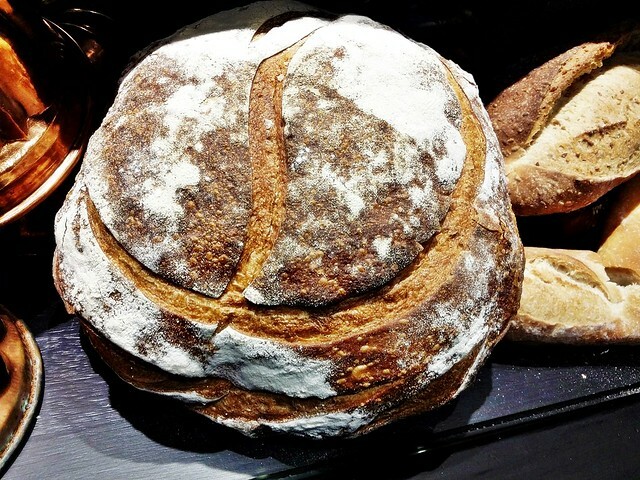 At least 8 - 10 varieties of bread are available on weekdays, with up to 20 varieties on bread market weekends! 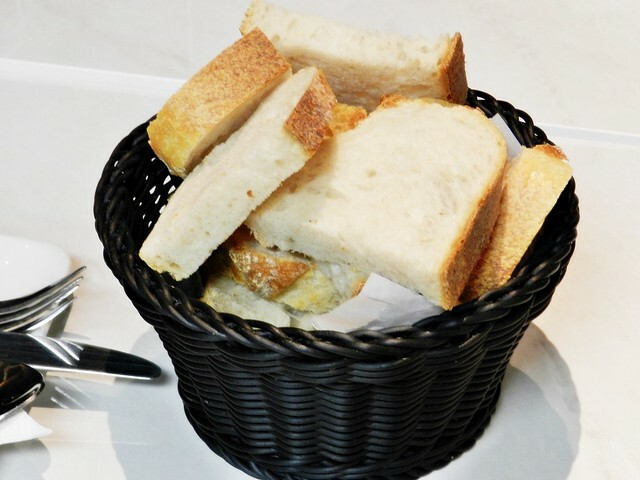 Chef uses his own special natural leavening starter, giving each bread a signature Do.Main Bakery taste, very natural and earthy, and along with the rustic country style look of the bread, each bite is like being transported to the fields of France. 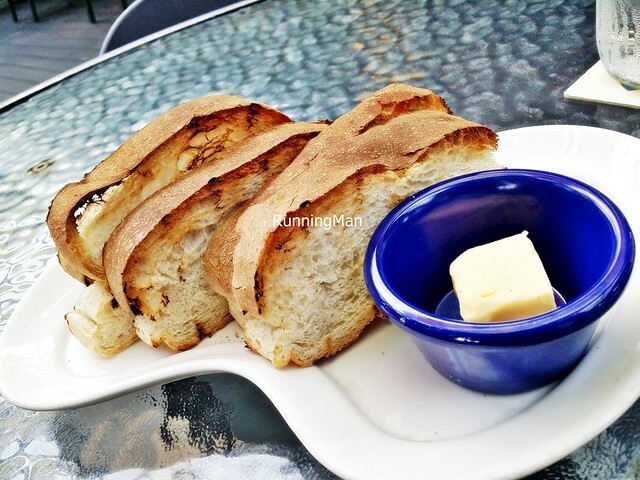 I find prices of the bread to be very affordable, considering their artisinal quality! The 4 Seasons Salad (SGD $18) is a pleasant array of bright colours, attractive and fresh. 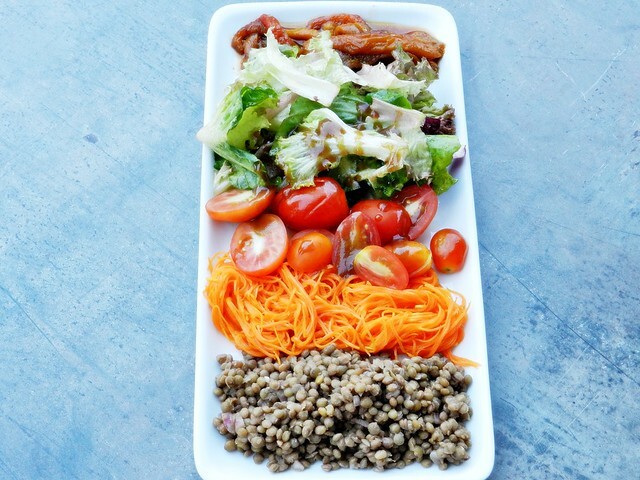 This light and healthy salad features lentils, carrots, cherry tomatoes, lettuce, and roasted bell pepper / capsicum, and is utterly tasty and refreshing. A myriad of textures too, crunchy, soft, stringy, juicy, pliant, as well as excellent combination of tastes. The roasted bell pepper / capsicum in particular stood out for its smoky aroma and taste. Very good, pity it's the only salad available here! 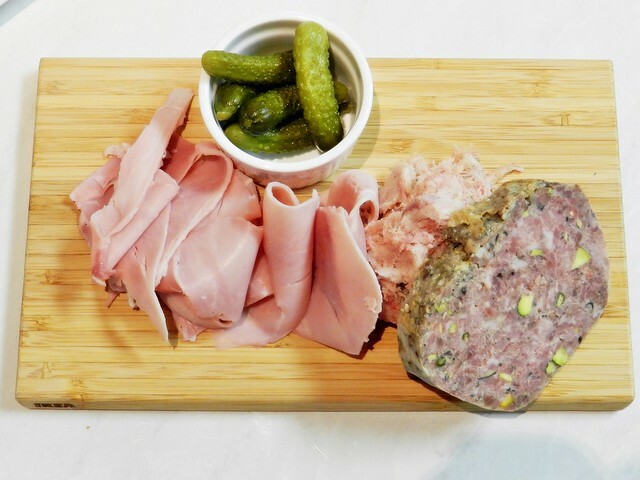 The Charcuterie Platter - Duck And Pistachio Pate / Terrine, Pork Rillette, Kurobuta Ham (SGD $20) is a meaty carnivore's delight, prepared by French partner Chef Stephane Istel of Bar-Roque Grill. Of the 3 seasonal meats, the Duck And Pistachio Pate / Terrine was the highlight for me, with its firm texture, pleasant smoky taste, and crunch of the pistachio nuts. Not too traditional though, as it lacks the signature gelatin of a typical terrine. The shredded Pork Rillette holds good flavour, but slightly lacks in moisture, although it pairs well with bread and the gherkin pickles. The Kurobuta Ham is thinly sliced, and you can taste the rich meaty essence and slight earthy aroma which puts it a cut above normal ham. I would order this with a glass of wine, perhaps a pastry or 2, just for dinner! The Broken Eggs, Tomato, With Mouillettes (SGD $15) strikes me more as a breakfast / brunch / snack dish rather than a main course. But it's great fun to eat, especially since you're supposed to use the mouillettes breadsticks to stir the hot and wobbly eggs, mixing it thoroughly. 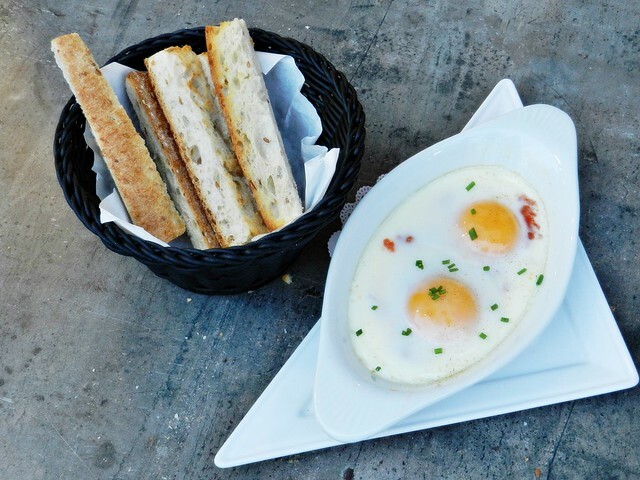 Comfort food at its best, with the warm, nutty taste of the bread against the warming eggs. You can get it plain, with tomato (confit), or with bacon (and sour cream). The tomato confit has a more floral, fresh taste profile, and is made in-house in 4 hours, while the bacon and sour cream has a smoky, deep, meaty taste profile, cut through with a slight creamy sourness. 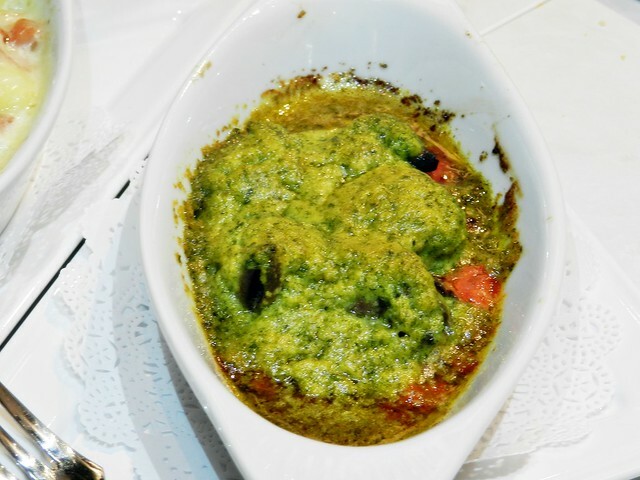 The Cassolette Oven Baked Escargots (SGD $16) are a half-dozen, plump deshelled snails, coated in a fragrant garlic and parsley herb butter puree. 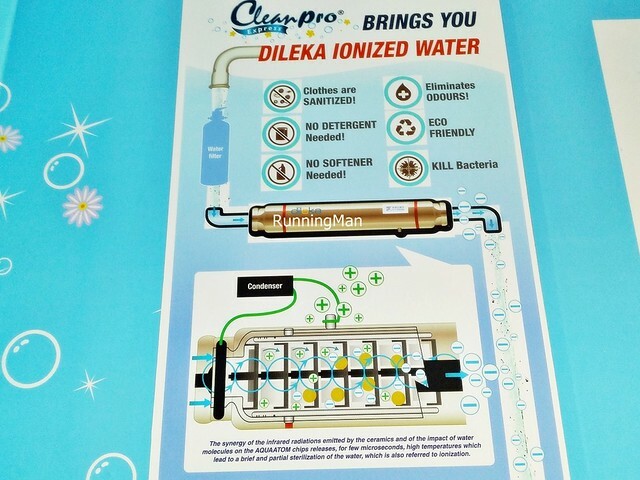 Decent and straight forward, not terrible, but not outstanding either. 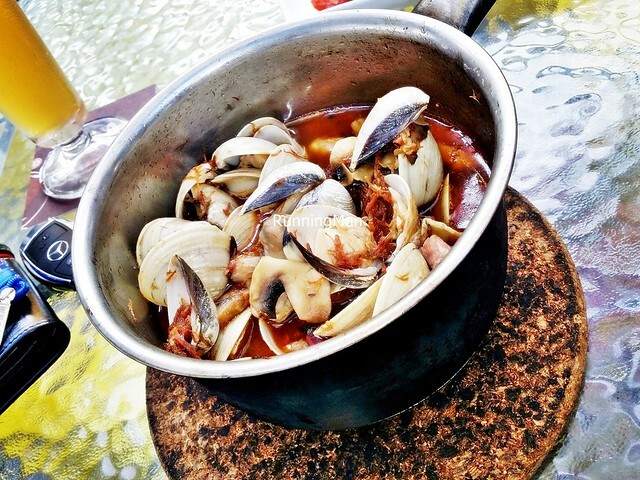 Fresh, meaty, and hearty, worth ordering to share. 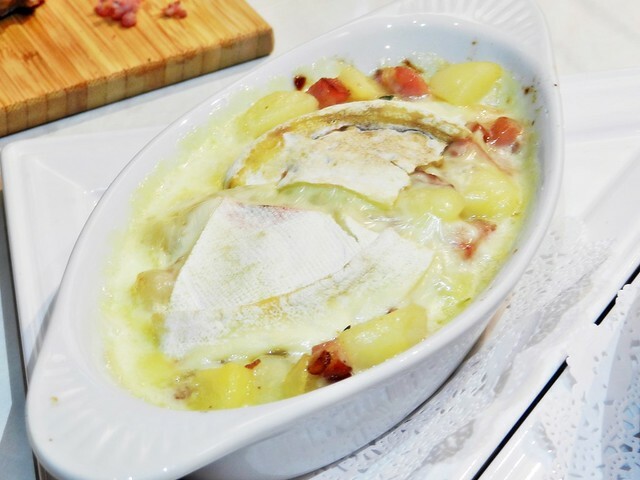 Tartiflette is a French dish originating from the Haute Savoie region of France, and is a country style dish of potatoes, reblochon cheese, lardons, and onions. The version of Tartiflette Reblochon (SGD $16) here drops the onions, and replaces the lardons with smoky bacon instead. Served like a gratin, this filling and hearty dish is delicious, with the smoky, salty taste of the bacon infused into the cream and potatoes, while the stringy, gooey cheese rounds out the flavour. Pretty good! 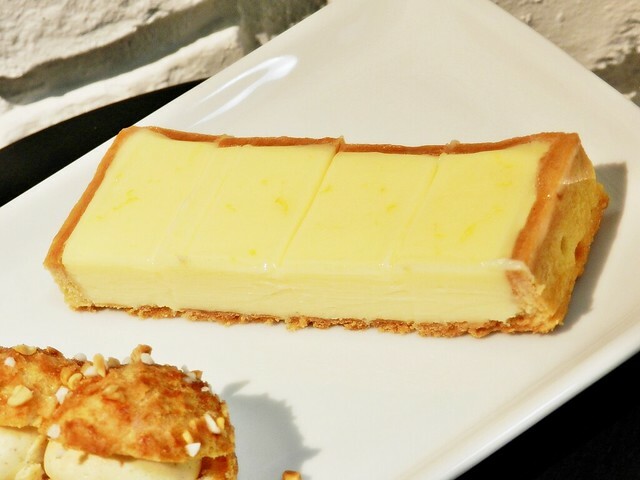 The Lemon Curd Tart (SGD $5) is among the better ones I've had in Singapore, with a wobbly lemon curd that is just nicely balanced between tangy, sour, sweet, and zesty. The pastry tart shell has a slight hint of butter, thin enough to crumble easily when cut, yet thick enough to hold the shape of the tart. Good! Created in 1910 to commemorate the Paris-Brest bicycle race, with a circular shape representing a wheel, the Paris-Brest is a choux pastry filled with hazelnut flavoured cream. The Paris-Brest (SGD $5) version here is like a mini eclair, and the praline cream within is light, and creamy! It may be a tad too light for some though, I quite like it as it's not as sweet as those I've had elsewhere, and overall, I feel this dessert is very good! The Royal Chocolate Cake (SGD $8) is a rich, decadent, gluten-free treat, made with Valrhona Manjari 64% chocolate. 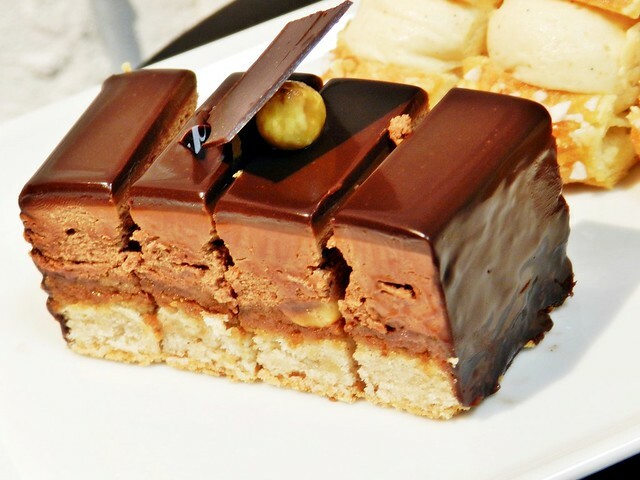 The pastry base is crisp and light, and the layers of praline hazelnut cream and thick chocolate is utterly delicious. So good you can't stop eating it! 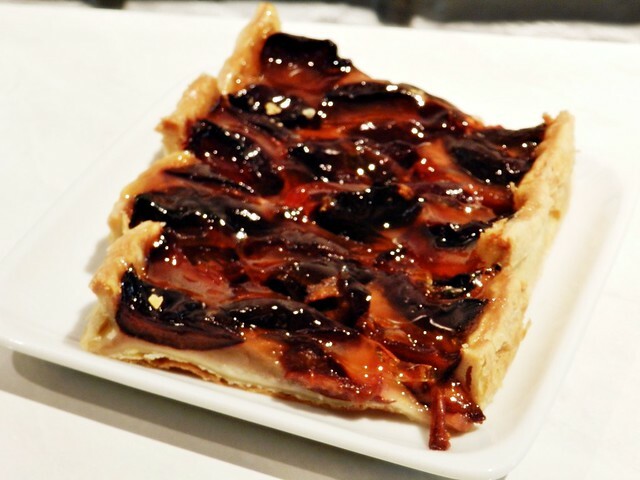 The Fruit Tart - Questche Tart / Dark Red Plum Tart (SGD $5), is a seasonal item made with fruits in season. The current Fruit Tart is made with dark red plums, 'stone fruit' as chef calls them, which tastes similar to a prune, but more juicy and sweet, with a rich, deep, slightly sour, floral flavour. Apparently, this is his wife's favourite tart, so you can almost taste the love chef has put into making it! 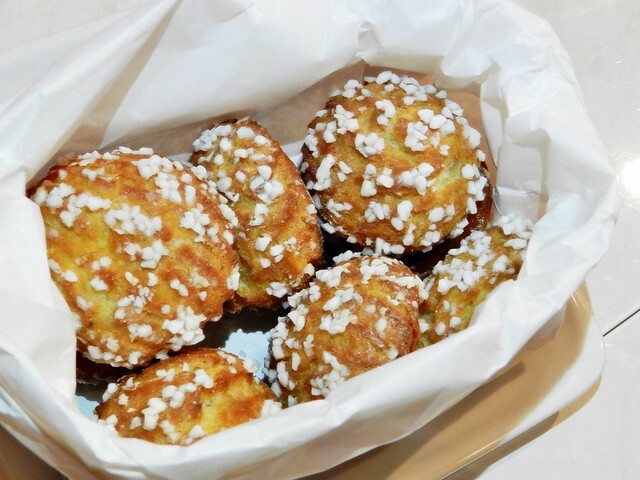 The Chouquettes (SGD $3), a small choux pastry sprinkled with pearl sugar, is a happy childhood memory for chef, as French children typically leave a party with a bag of this. His version starts out crisp from the oven, with a shelf life of 2 days. If you let it sit in a cool dry place away from direct heat, the crisp texture gradually gives way to a chewy texture over the 2 days, which I prefer as it complements the crunch of the pearl sugar nicely. 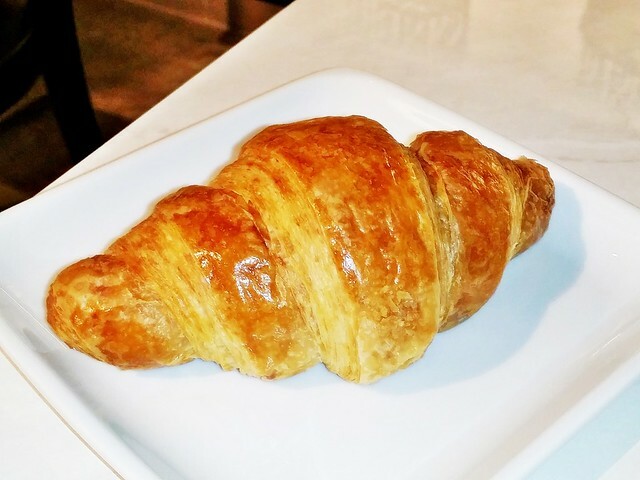 The Croissant (SGD $2.80) is pretty good, flaky and crisp exterior, soft, fluffy, slightly doughy interior that pulls apart easily. Natural tasting, though not as buttery, or as crisp, as other versions I've had elsewhere, this is still pretty good. 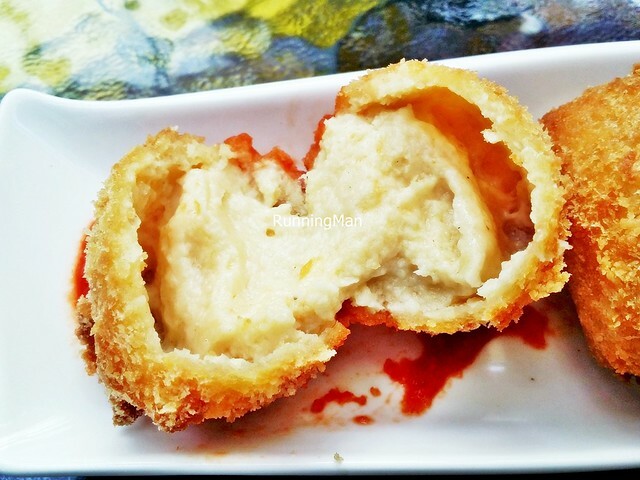 The Apple Tart (SGD $5) is a childhood favourite of chef, and is evident in the quality. 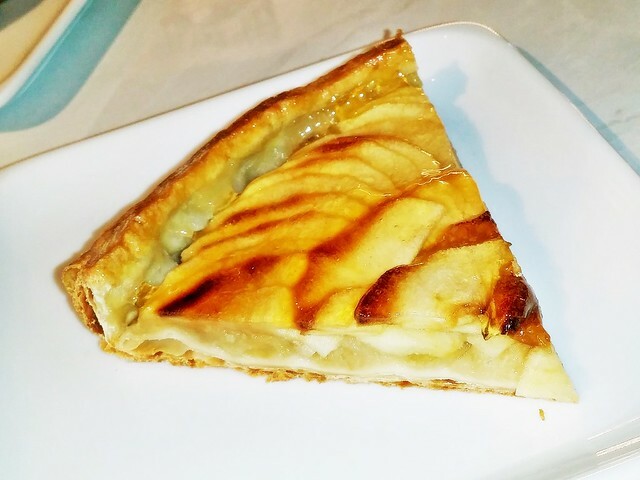 Among one of the tastier apple tarts I've tried, the apples are fresh and juicy, with a nice crunch and sweetness, while the pastry tart crust is crumbly with a slight hint of buttery goodness. Very good rendition! A Pithivier is a traditional French pastry, made with puff pastry in a hump shape, with spiral lines drawn on top. It's usually stuffed with a sweet filling of frangipane almond paste. 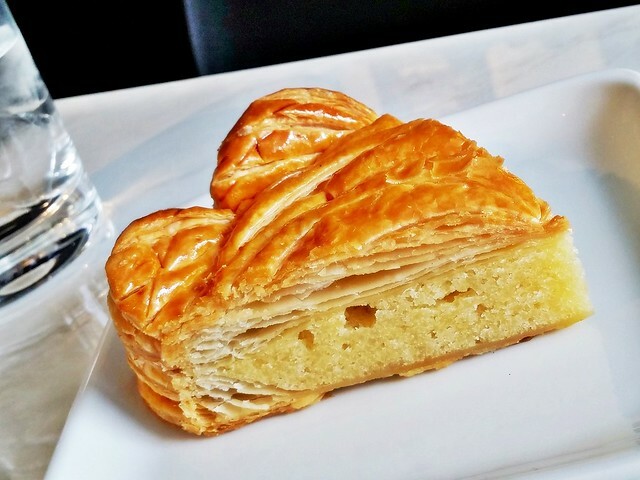 The Pithivier (SGD $7) here keeps that tradition, I love the flaky, crisp crust of the puff pastry which flakes off beautifully, but the actual filling of almond paste, while sweet, isn't too spectacular in taste. Decent dessert. 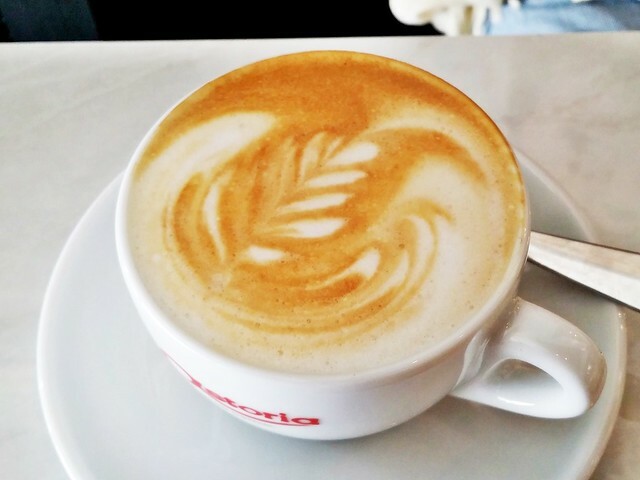 The Latte (SGD $6.80) here is decent, rather average at best. Nothing I would go out of the way for... but then again, they're a bakery, not a cafe. 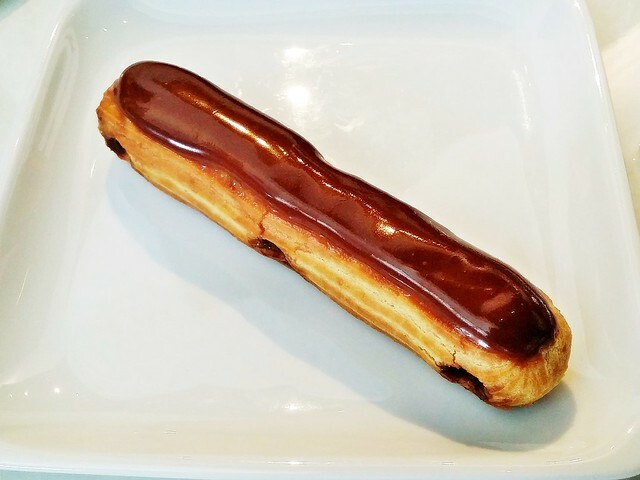 The Eclair Chocolate (SGD $5) is really good! The signature fragrant and chewy pastry shell is filled with a sweet, smooth, creamy, and rich chocolate cream. Topped with a thin layer of chocolate, almost like a glaze, this is not too sweet, but still very tasty. 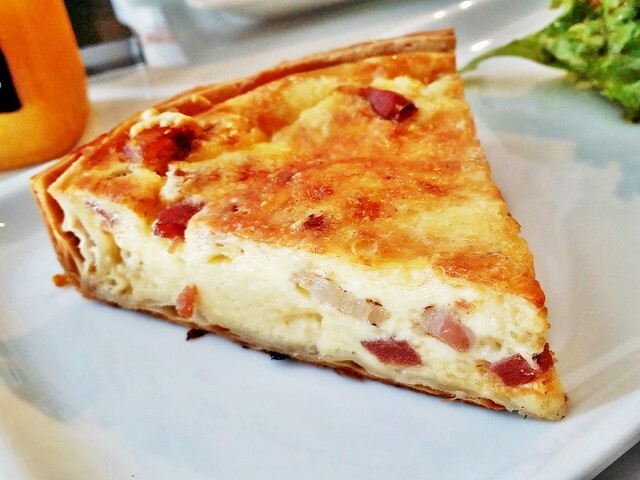 The Quiche Lorraine (SGD $8) is decent. While I like the generous slice, the quiche filling isn't as smooth or eggy as I like, and the meat is somewhat dry and dense. Good flavour though. 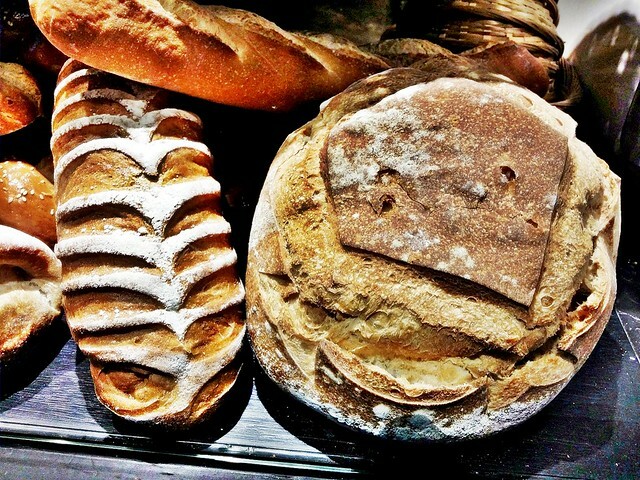 Overall, Do.Main Bakery is a great place to get authentic, classic French breads, pastries, cakes, and confectioneries. 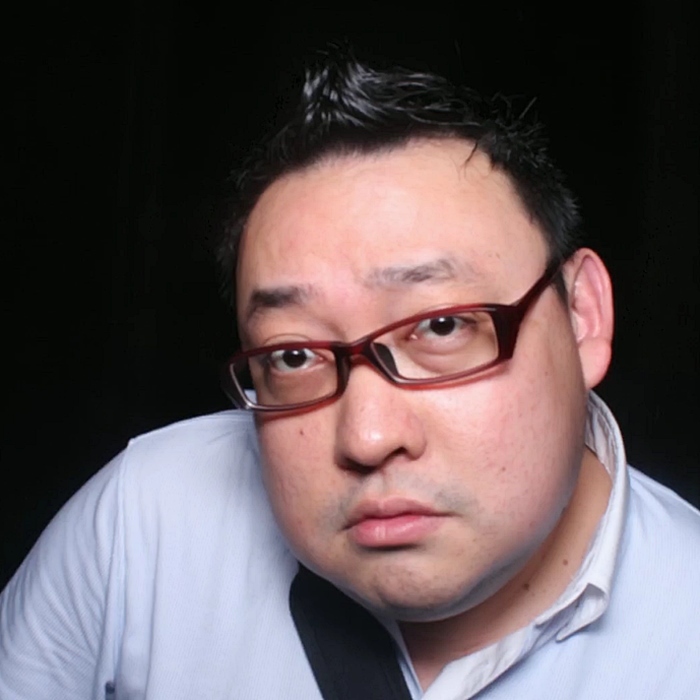 As chef likes to use seasonal ingredients, repeat visits are worthwhile, especially when he experiments with fusion flavours, such as his Pineapple Tart or Choux Mandarin for Chinese New Year 2015. Will visit Do.Main Bakery again for more great tasting treats! Spent about SGD $10 per person. 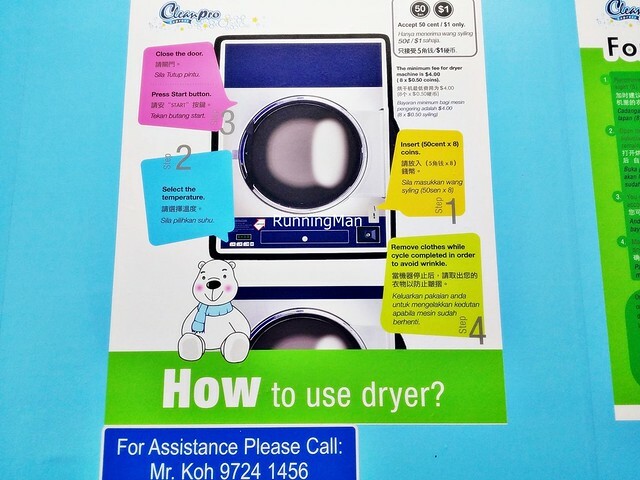 Recently visited Cleanpro Express, due to equipment failure of my own home dryer. 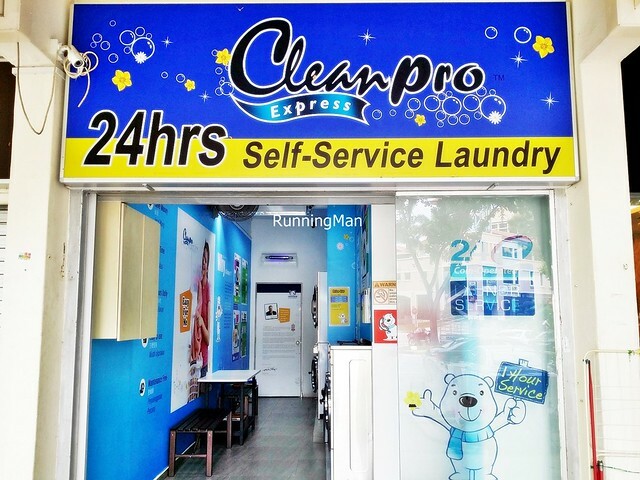 Cleanpro Express is a heartland, 24 hours daily, wholly self-service laundromat, with several outlets scattered across Singapore. 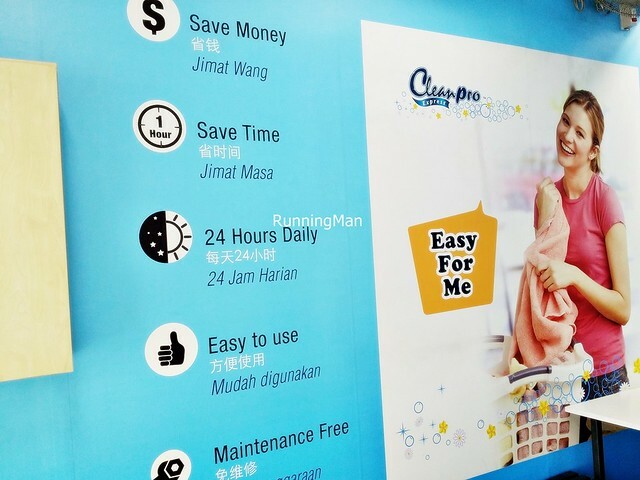 Cleanpro Express established this concept in 2011, operated by Cleanpro Laundry Holdings Sdn Bhd parent company. 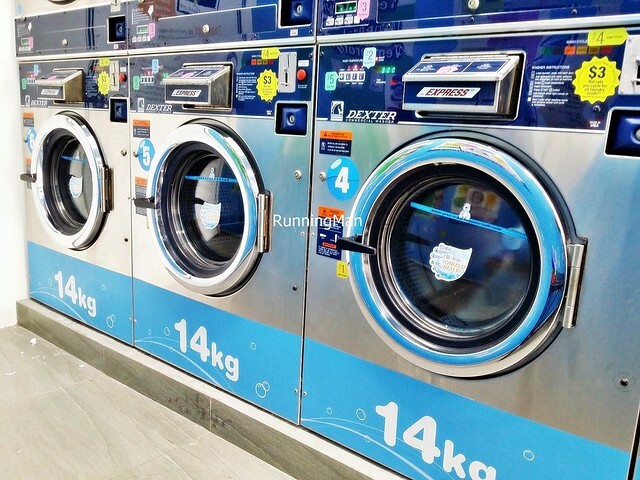 The equipment at Cleanpro Express is heavy duty and reliable, sourced from Dexter Laundry Inc, an American brand of washers and dryers. 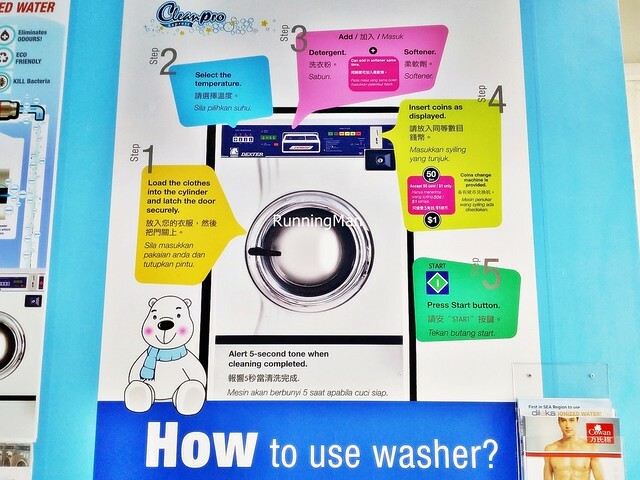 I like that instructions for using the vending machine, washers, and dryers are prominently displayed, in pictoral form, and explained in several languages, making it easy to understand and operate the machines, even for a 1st timer. 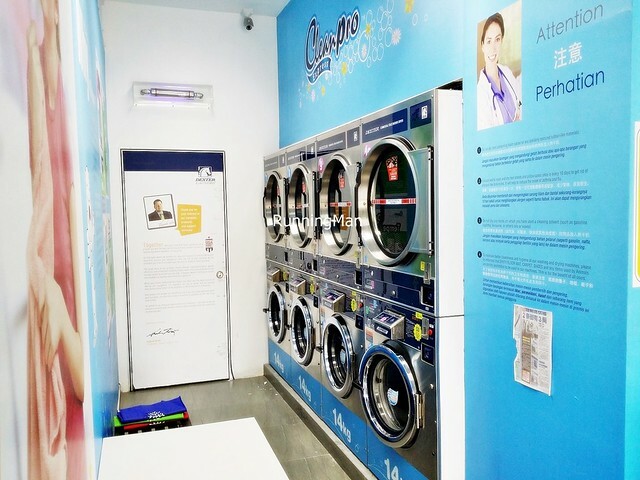 Doing the laundry at Cleanpro Express usually takes less than 1 hour; washing takes 25 minutes, while drying takes 24 minutes. 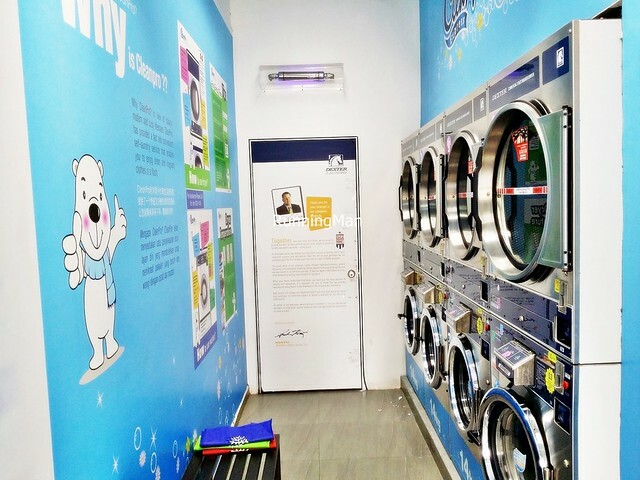 Prices at Cleanpro Express currently cost SGD $3 for washing a 14kg load of laundry, and SGD $4 to dry the same load. 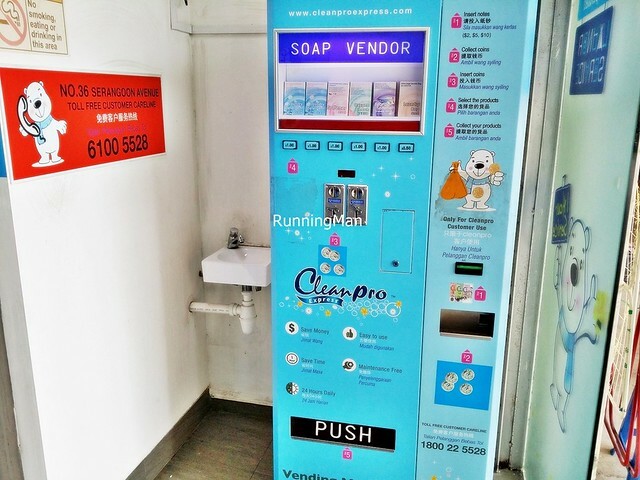 The vending machine sells soap powder, bleach, laundry bags, but you can always bring your own. 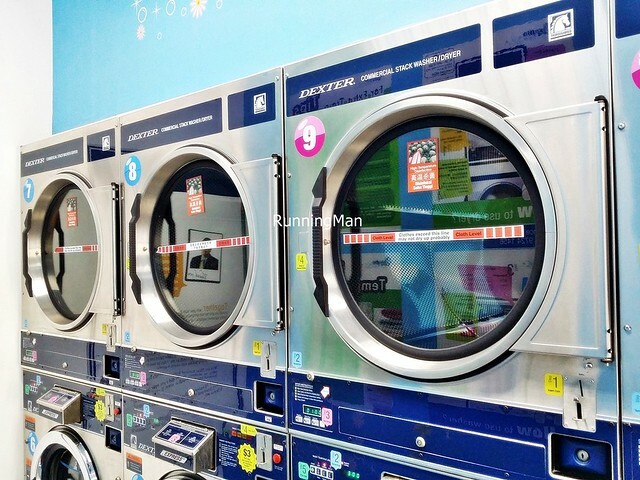 I also like that Cleanpro Express provides free wifi, should you choose to sit in the laundromat and wait. Spent about SGD $42 per person. 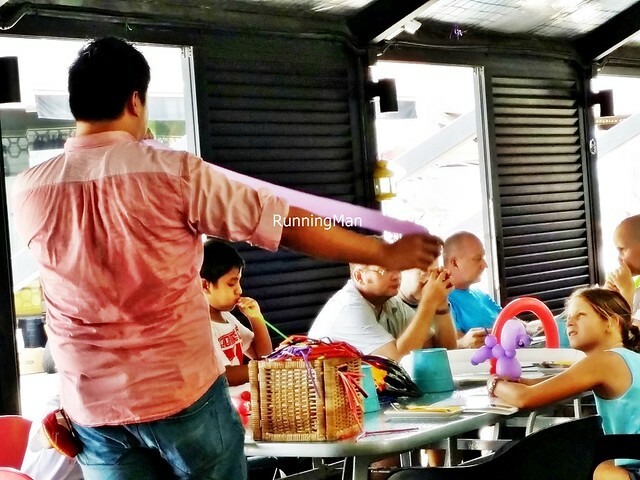 They actually hired a Balloon Guy to entertain the children on Sunday morning! But I'm not sure if he's around all Sunday / weekend, or just here for this 1 time only. Lambic beer is traditionally associated with the Pajottenland region of Belgium, and fruit lambics are amongst the most popular. The fruit lambic beer produced by the Lindemans brand tends to be more fruity in taste, with a less sour note as compared to other fruit lambic beers. 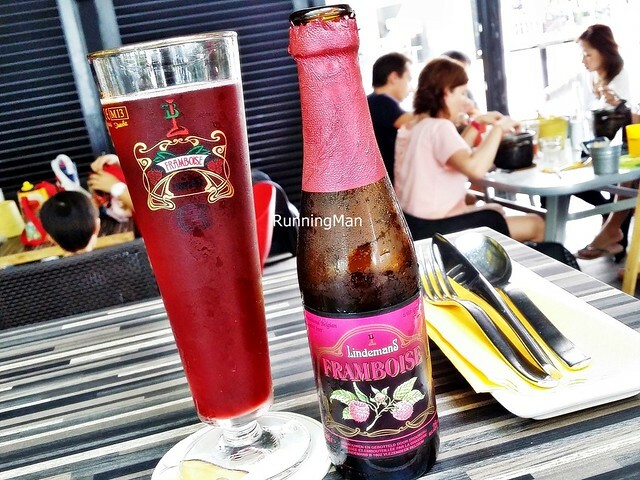 The Beer Lindemans Framboise (SGD $12) has a floral aroma, with a delicate taste of raspberries that is sparkling and clean. 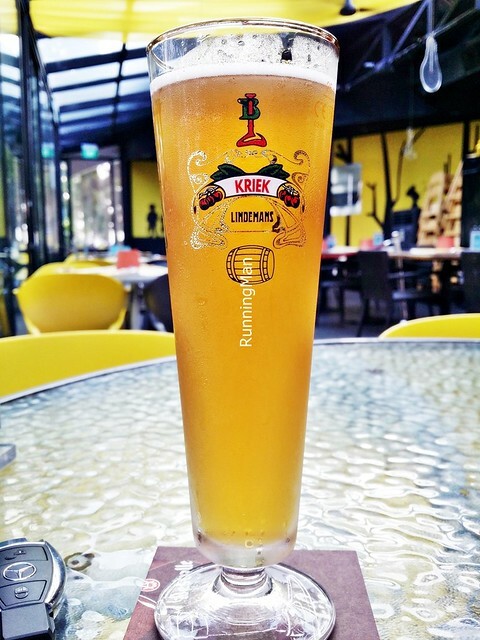 The Beer Lindemans Pecheresse (SGD $12) has a refreshing aroma, with lively taste of fresh peaches that is sparkling, crisp, and balanced. 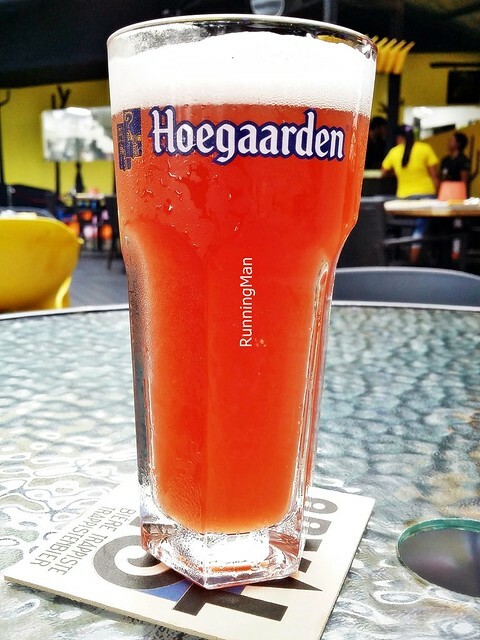 The reddish amber coloured Beer Hoegaarden Rosee (SGD $10) has a sweet fruity taste of raspberry, very refreshing with little bitterness, great summer ale, though I prefer the standard Beer Hoegaarden over this. 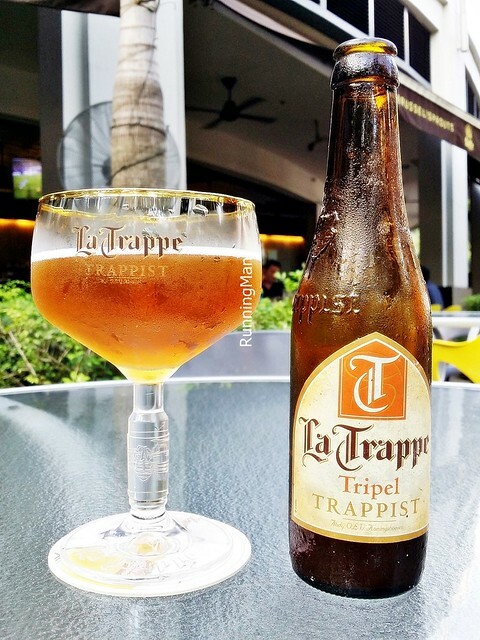 The Beer La Trappe Tripel Trappist (SGD $18) has a full, rich flavour, slight malt and wheat aroma, and a light and dry aftertaste with a touch of bitterness. This unique Belgian brew is still brewed from a traditional recipe in the abby by monks. 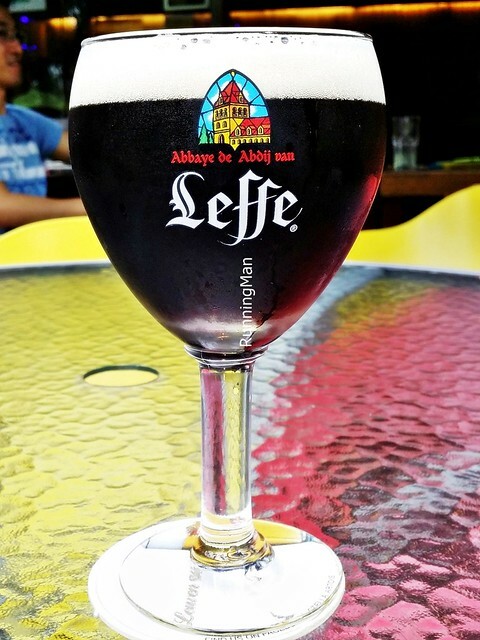 The Beer Leffe Brune (SGD $13.50) is a deep brown Belgian ale with a full, sweet, and fruity aroma, taste of caramel, coffee, and malt, with a light sourness. 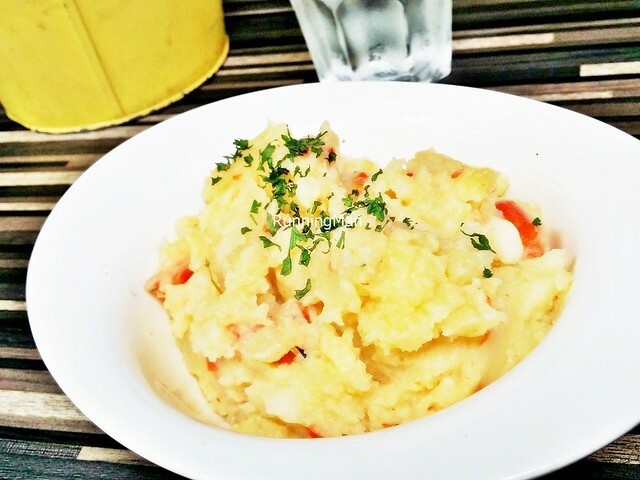 The Stoemp Aux Carottes (SGD $6.50), which is essentially a dish of chunky mashed potatoes and carrots, is a classic Belgian side dish. 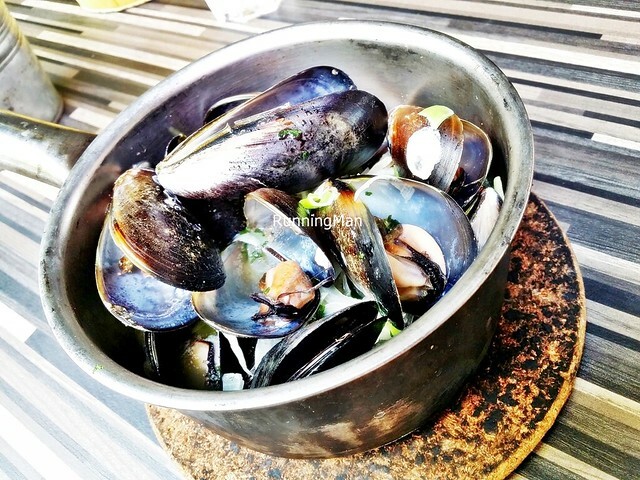 This sturdy, uncomplicated dish is a speciality of Brussels, often served during winter, alongside pork chops or pork sausages. The version of Stoemp Aux Carottes here retains the signature chunky texture of the mashed potatoes and mashed carrots, garnished with thyme. Very tasty, I detect the signature creamy taste of butter, which I suspect was melted over the dish. 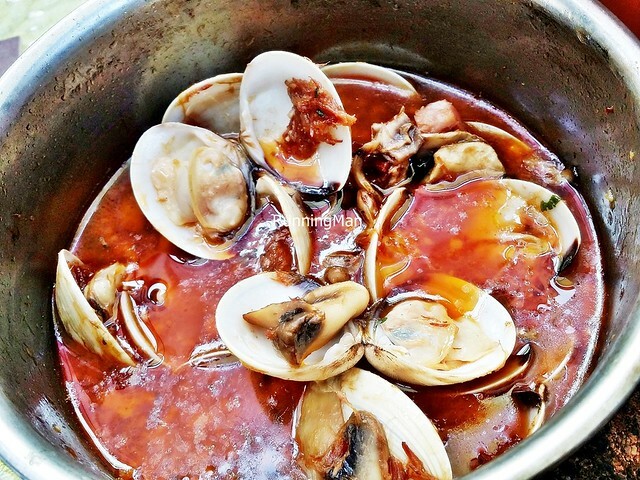 Hearty and comforting, pretty good side dish! 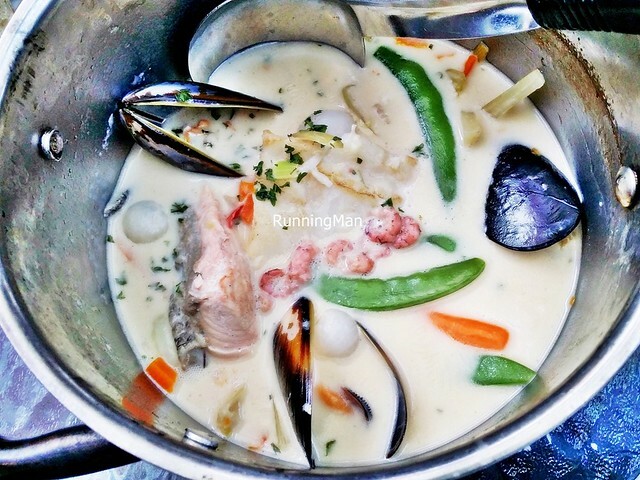 Waterzooi is a traditional Belgian stew / soup with a cream base, usually made with fish or chicken, and a variety of vegetables. 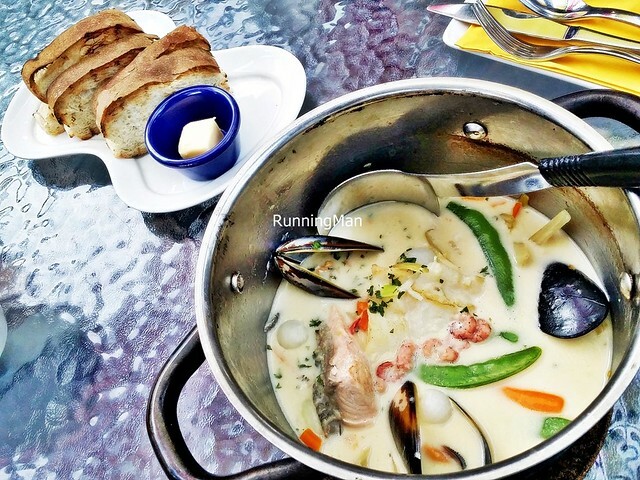 The Waterzooi A La Gantoise (SGD $38) here pays homage to its origins from the town of Ghent, in the region of East Flanders, Belgium, with its name, which means "Boiled Stew From Ghent". 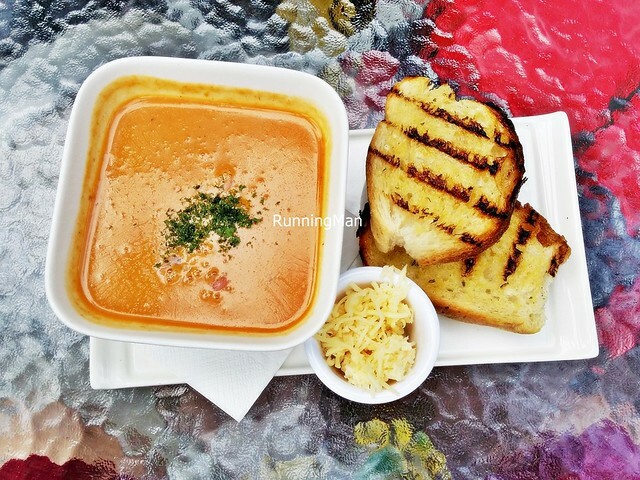 The portion is large, more than enough for one person, and sufficient for 2 people to share. 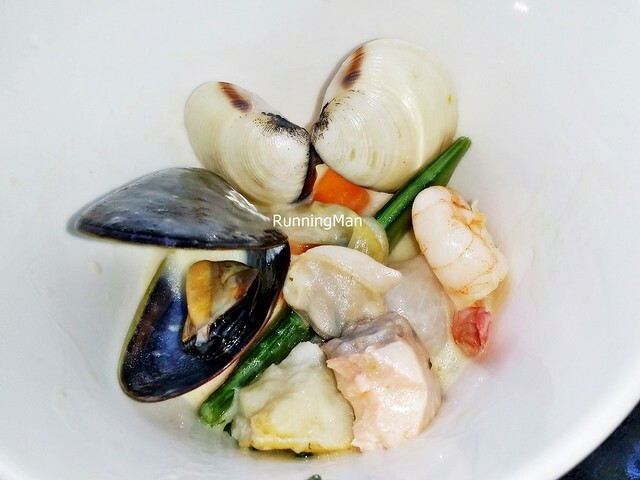 I like the variety of fresh seafood and vegetables within the stew / soup, including mussels, clams, prawns, grey shrimp, carrots, potatoes, leeks, pearl onions, snow peas, and 2 whole fillets of salmon and cod (each). 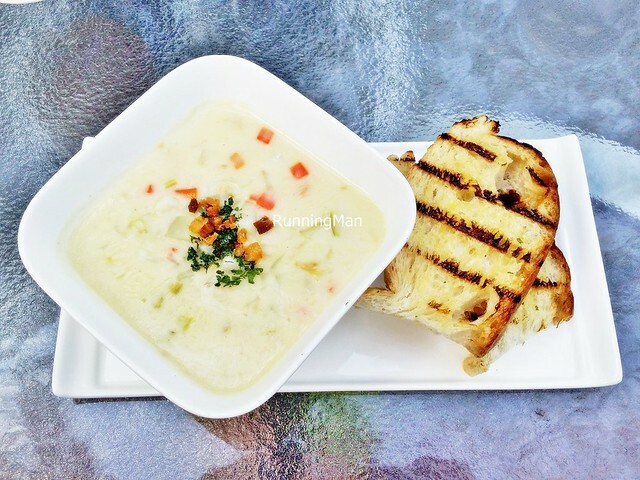 Served alongside crisp toast, the cream base stew / soup isn't too thick, and I feel it lacks a little seasoning, but allows the natural taste of the fresh seafood and fish to shine. Overall a pretty good dish, and worth ordering for those undecided, as this is the closest dish to a sampler platter here! 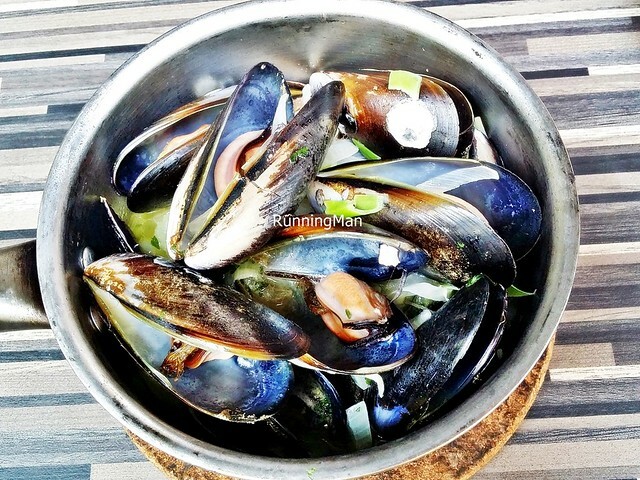 The Fries Frites Et Sauces here are complimentary free-flow with every order of mussels / clams. 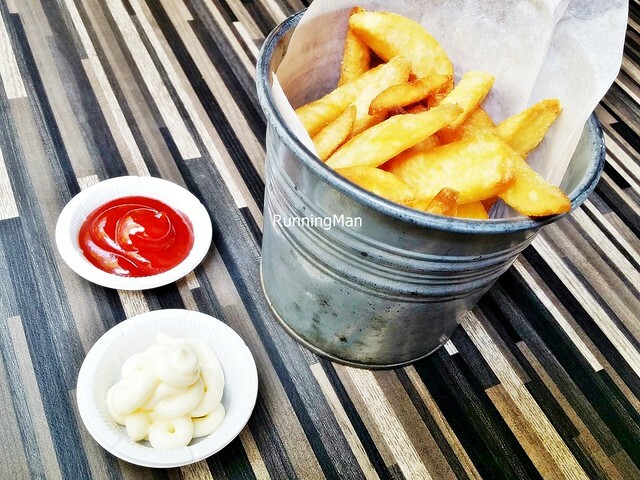 The fries are wide, flat, and thick cut, and as befits Belgian tradition, eaten with mayonnaise and ketchup. 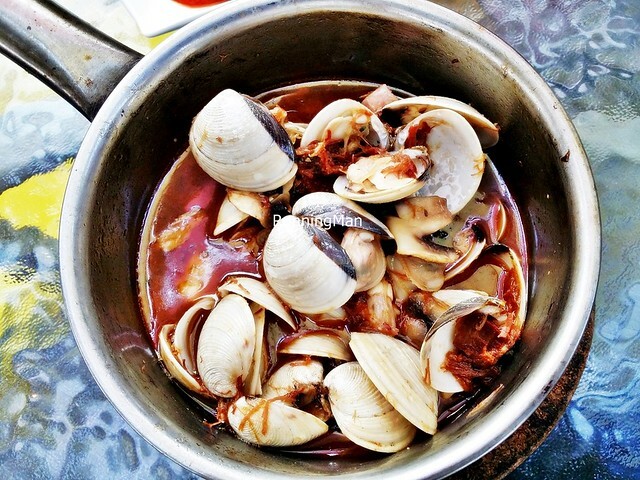 The Clam Chowder (SGD $14) here is supposed to be good, because they're a seafood place after all. 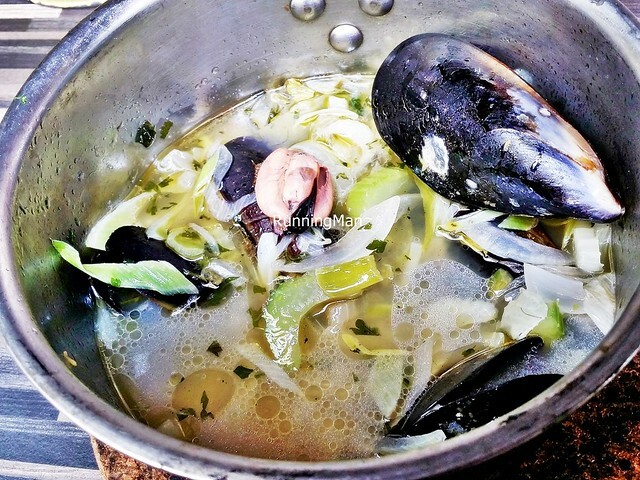 And while I like the generous portions of chunks of diced carrots, celery, potatoes, bacon, and shelled clams, in a thick, savoury cream soup / broth, the taste leaves a rather bitter aftertaste in the mouth. Order this only if you prefer quantity over quality. The Bisque De La Mer Du Nord (SGD $16) is essentially a lobster bisque / shrimp bisque, and it's very good! 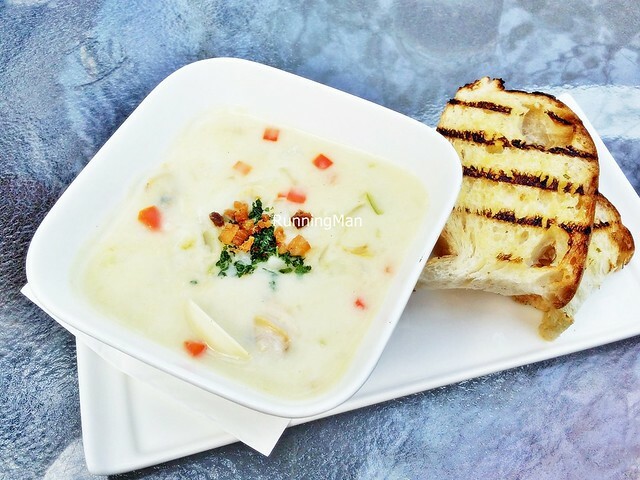 The smooth, thick, creamy soup / broth is filled with good crustacean / lobster flavour, with a small amount of grey shrimp as garnish. 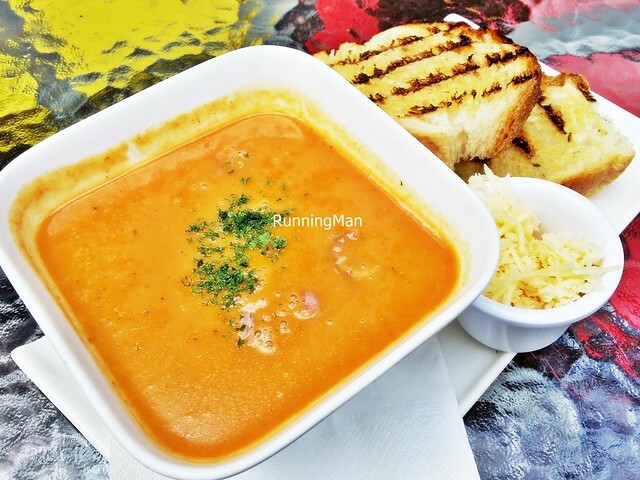 Served with a side of emmental cheese, I find it enhances the taste if you dunk the cheese into the hot soup / broth, causing the cheese to melt in and flavour the bisque. Very good! 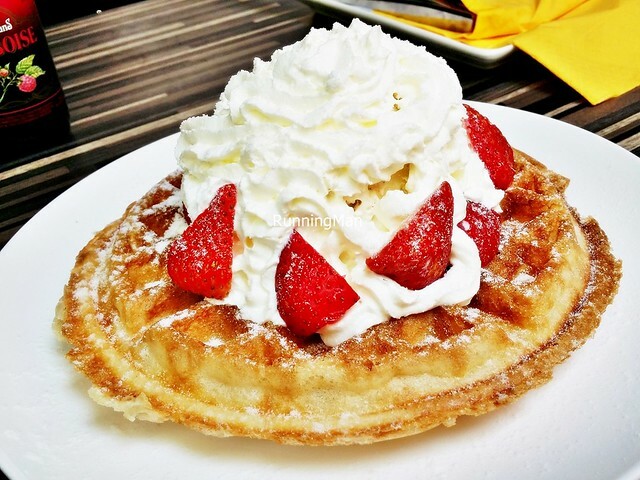 The Gauffre (SGD $12), correctly spelled as 'Gaufre', is the short name for 'Gaufres De Bruxelles', or Belgian Waffle / Brussels Waffle. Traditionally, it's prepared with an egg white leavened batter, or an ale yeast leavened batter, and are very light, crisp, and rectangular in shape, with large pockets. As a dessert, it's served topped with whipped cream, strawberries, castor sugar, or ice cream. The version here has it served with a large scoop of vanilla ice cream, then covered in chantilly cream, and studded with strawberries. While the toppings are great, the waffle itself is dry, and not that tasty. Personally, I think it doesn't do justice to the 'Gaufres De Bruxelles' name. I would not order this again. 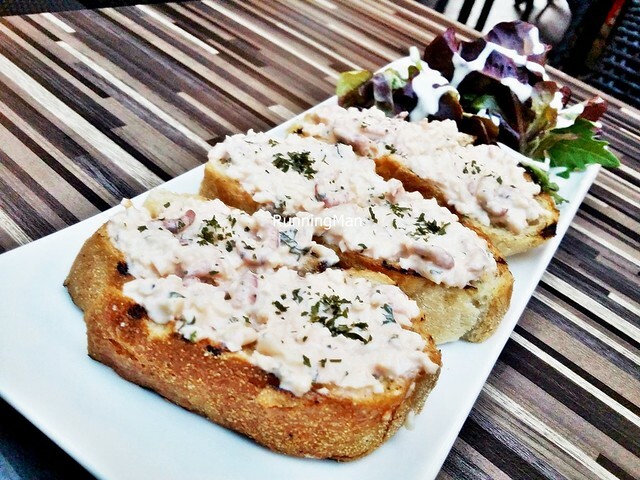 The Toast Aux Crevettes Grises (SGD $20), or grey shrimp mayonnaise on toast, features grey shrimp, cognac cocktail sauce, and "toast". More like bread really, the toast isn't crisp. 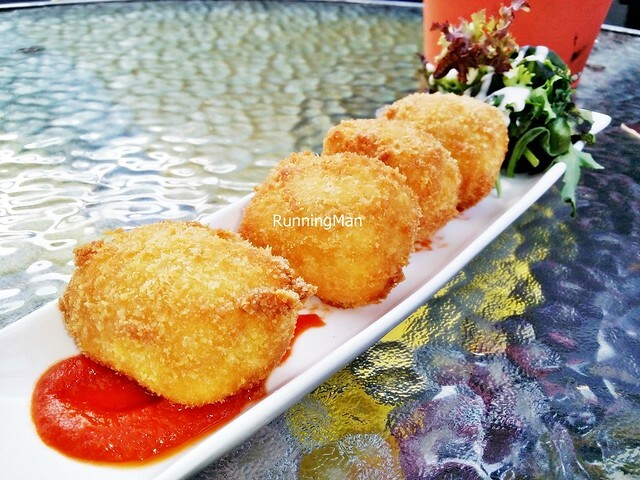 I love the overall flavour, which is refreshing, but this appetizer is somewhat poor value for money. Skip this. 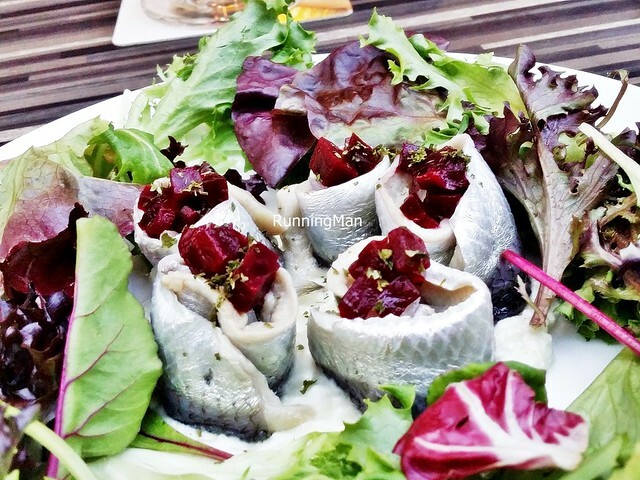 Rollmops are a common snack / appetizer in Belgium, consisting of a pickled herring fish fillet, rolled into a cylinder shape, and stuffed with a savoury / sour ingredient, such as onions, pickled gherkins, or pickled olives with pimento. 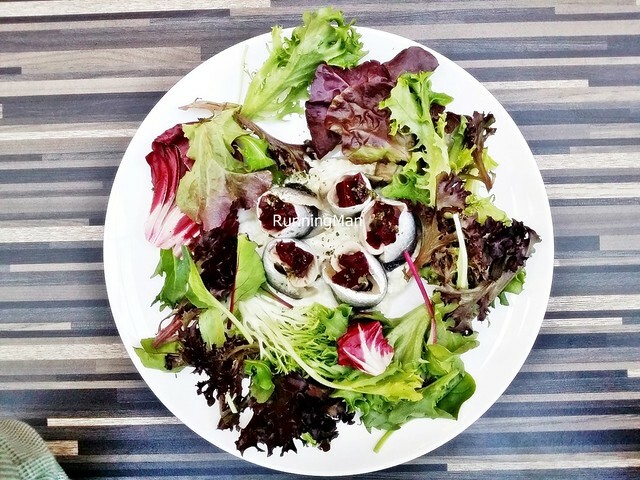 The Rollmops (SGD $14) here are served as a salad, surrounded by the greenery of a typical garden salad, and are themselves a slight variation on the traditional. The pickled herring fish fillets are meaty and firm, not mushy and not stinky. But they're stuffed with a pickled beetroot instead. I like this version though, because the beetroot lends some juice and colour. 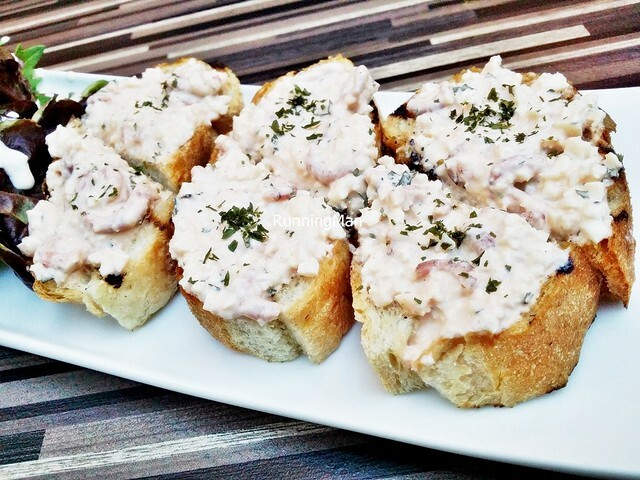 There's also a base of a savoury cream sauce with onions, great for combining with each mouthful.